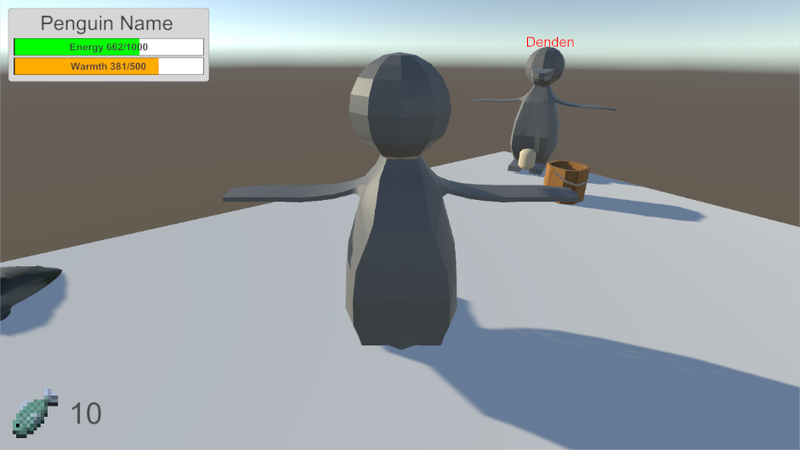 Progress on day one was getting the basic characters working. 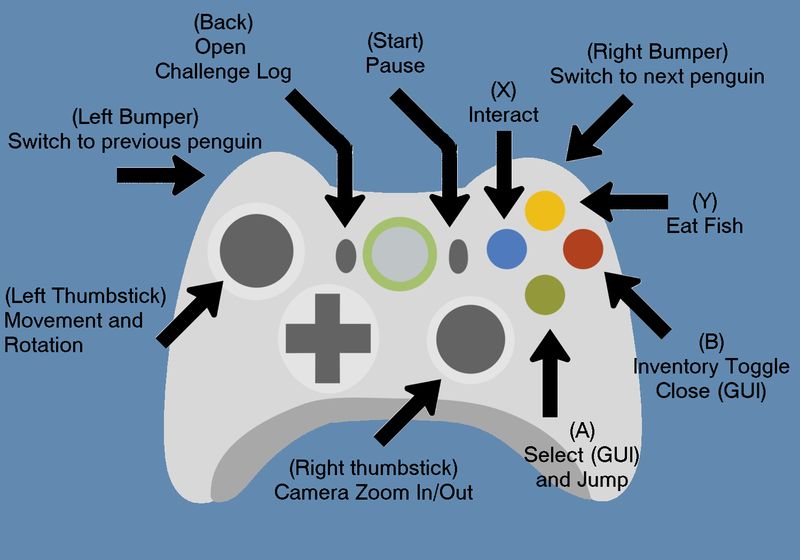 you can move the penguins around using WASD and/or using an XBOX controller. 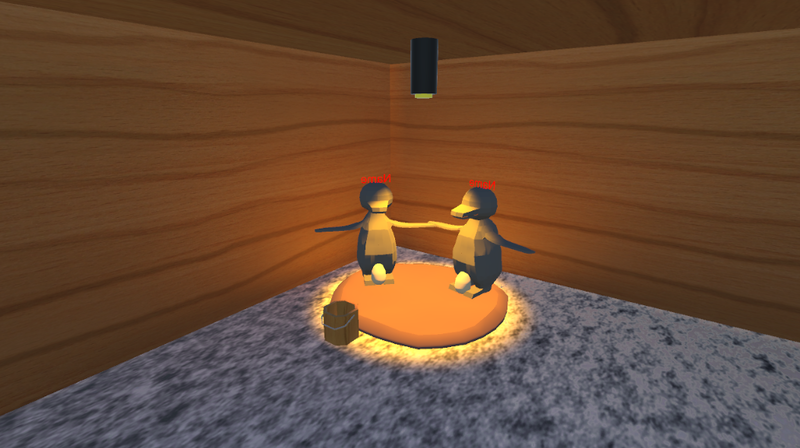 The player can also switch between the two penguins (actually any penguin however it's currently set up to loop between just the two, for now) by pressing either Tab or the player can cycle through penguins with LB and RB if using a controller. 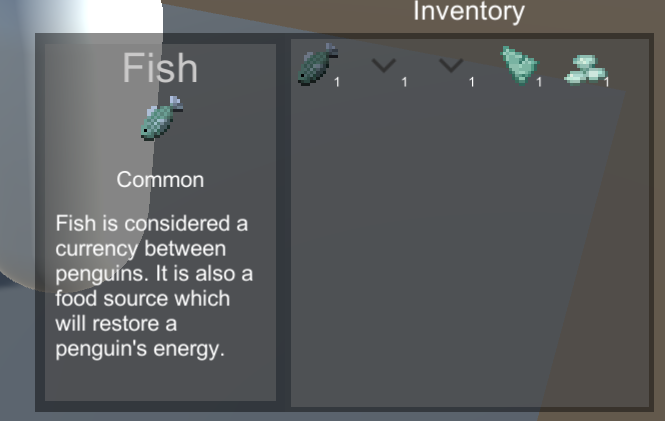 The final functionality for Day One was implementing a basic inventory which could hold fish. I also updated the inventory to handle multiple items. 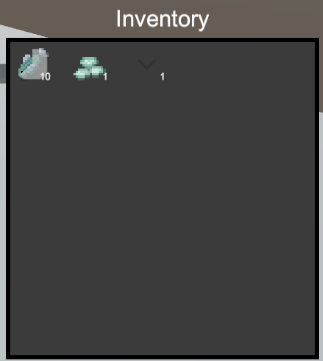 I redesigned the inventory screen instead of having bulk move and single move buttons, every time you click (or press A) on an item, it will transfer one of that item to the other inventory either a container or to the player's inventory. 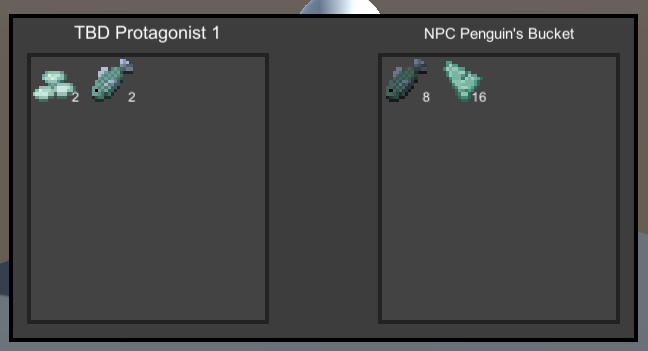 I also worked on a read-only version of the inventory which would allow the player to see what the penguin they were controlling was holding. This was extended by having the icons (when clicked (or with A)) open an information popup which gives the full information about that item, such as name, description and rarity. There are 2 extra items added for testing rarity colours. Overall the inventory item is pretty much complete now, you can add and remove items, view the items and move items between containers. Immediate Objectives (Think find object) <- I've implemented This One! The logic for both is done on the challenge side, I just haven't implemented any of the challenge incremention when you progress. 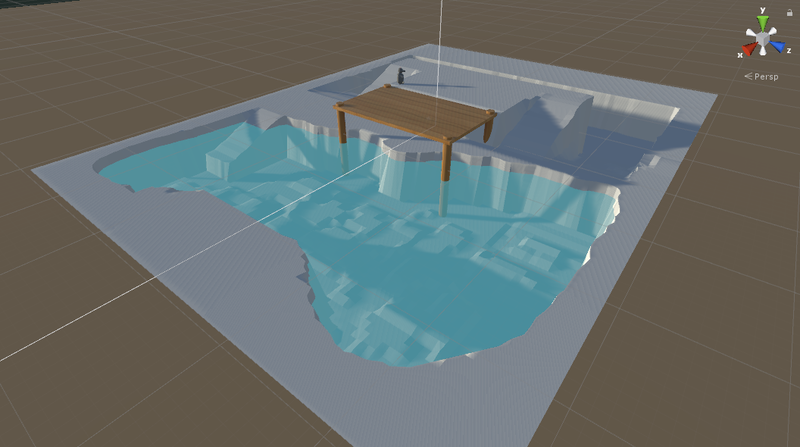 A more fleshed out model was given to me just before updating this Dev Log. Here's the more up to date model. The penguins are also holding flippers which was completely unintentional but hella cute. 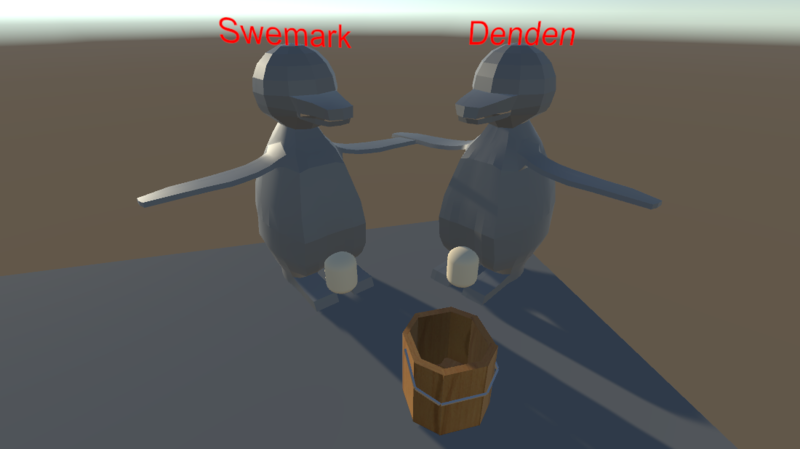 Also, the penguins names are ready be be revealed as "Swemark" and "Denden"
I also decided that for the collect x fish quest (which is the only quest that will make it to the final game as-is) will be related to the concept of feeding time. This hasn't been implemented however I have the full plan in my head for now. I should be able to use the existing "Find-able" system by adding a check to the quest's type (Incremental/Immediate) and increment or immediately completing where appropriate. I plan to add more if and when required in order to notify the player of events happening they may not be able to see at the time they happen. 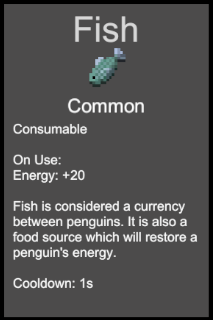 The fish counter tells you how much fish the penguin you are controlling has. This is important as fish will eventually regenerate your energy. Energy will deplete at a constant rate, but will decrease more when moving, and even more when swimming. Eating fish will restore energy however the exact values are still TBD. Warmth will not deplete until your energy is < 50% or you enter the pool. The only way to restore warmth is to return to your hatching box. When protecting the egg, the penguin remains in the hatching box and therefore will never lose warmth, but can lose energy. Today I didn't get as much done as I would have liked as I'm preparing to move back for uni. I started by adding the data types needed for item usage such as the type (consumable, reusable) and what it affects such as Energy and Warmth. I added this information to the item description shown on screen and improved the formatting a lot. I added the cooldown text in after as I forgot to add it before screenshotting. I then added the cooldown indicator to the inventory visualisation. It responds to a value on the stack of items however I am yet to add Item interactions so this will be fully implemented later. So after packing for uni I have found some time to work more today. I implemented Item usage along with the cooldown icons. 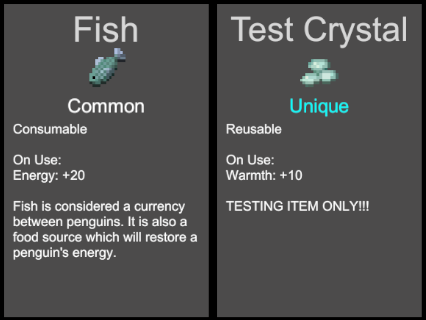 Items can now actually affect penguin energy and warmth now. It doesn't detect if you are at full energy or warmth (so don't overuse items - this is intended) but will clamp meaning you can't get over the maximum or minimum energy/warmth. I spent most of this morning travelling to Uni. Cut to later in the day where I met up with my friend who is doing the art, Mich.
Whilst they were working on the penguin model a bit more I spent most of the time working on a Saving and Loading system. 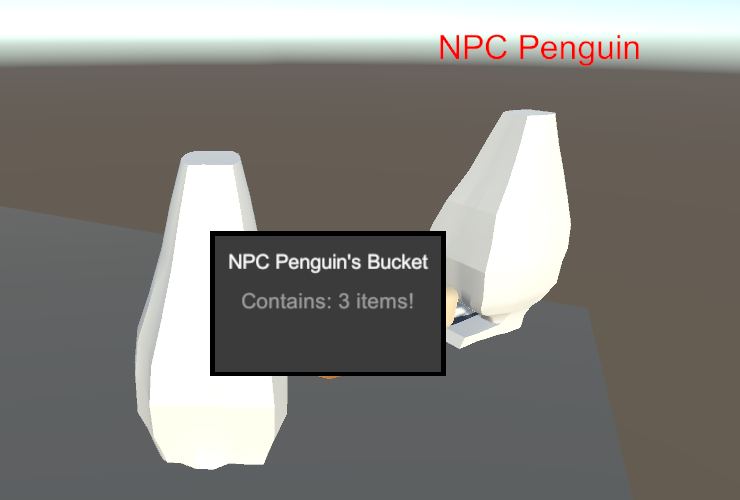 Currently the system can save each individual penguin, all containers, visibility of quest objectives as well as the quest states for your playthrough. The benefit of this means that you can play the game at your own pace and can save and return to the game at a later date. I finished off late in the night by adding quest indicators to the items which are used in quests. The indicator only shows when the player has a quest associated with that item. It also respects saving and loading rules and doesn't show for quests that have been completed during a previous playthrough. Today was spent on the Dialogue system and getting the quests moved along more. I started by writing a dialogue system which shows text, can give items and bestow quests. 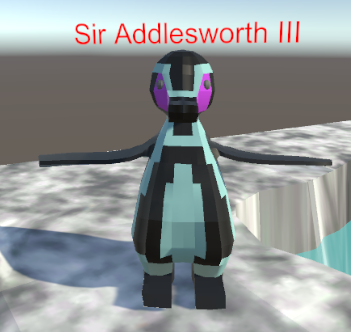 I hooked this into my existing Quest Findable system along with adding incremental objectives to quest findables meaning you can have quests which say "talk to 3x penguins", and interacting with them can not only bring up a dialogue but can advance the quest. After that I spent time adding colours to certain parts of the item text. This highlights certain things such as whether it's consumable or reusable, what stats it affects and the cooldown. I also added a bound option which keeps an item stuck to a player which cannot be moved between containers. 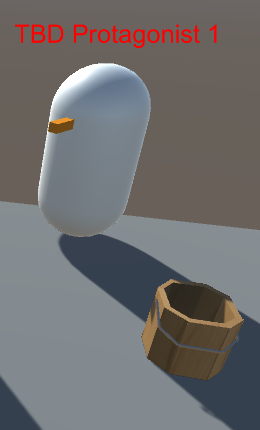 I spent the bulk of the evening adding in a fish object which not only can be picked up for the item it is, or contains but can advance a quest. 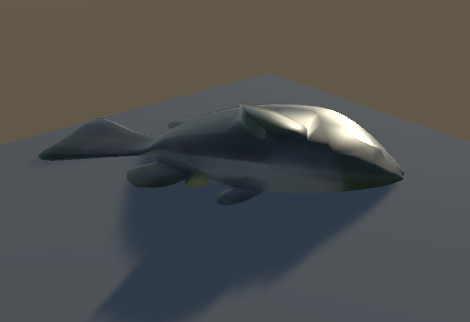 This fish will be spawned at feeding times and will both give you a fish as well as advancing the Incremental Side quest "The Wonders of Feeding Time". 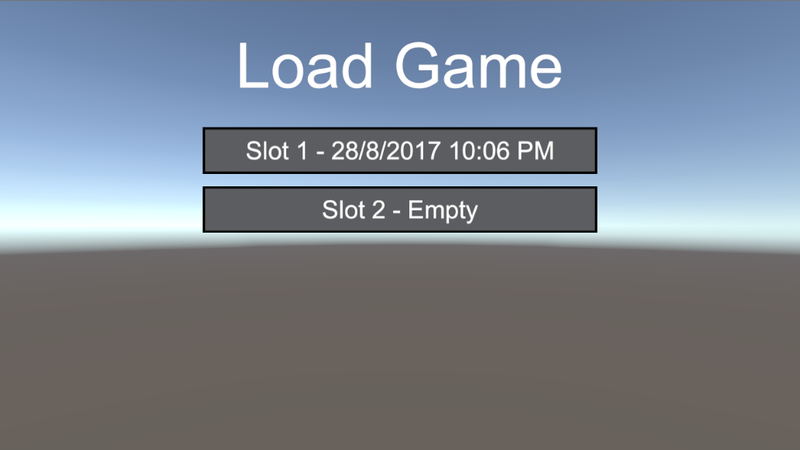 Today I started work on the main menu. There isn't much graphically however the functionality of starting and resuming games is working. The start game button brings you to a save slot selector. There will always be at least one option to start a new game (unless 5 slots are filled with games). I also worked on graphics for some of the final game items however am still working on the exact stats they will have so will keep them back for now. I added a new item type, which is a continuous item, alongside consumable and reusable. Continuous is a continuously executing reusable item. after the cooldown has passed, the item will apply its effects again, over and over again. After that I started actually implementing several of the quests. 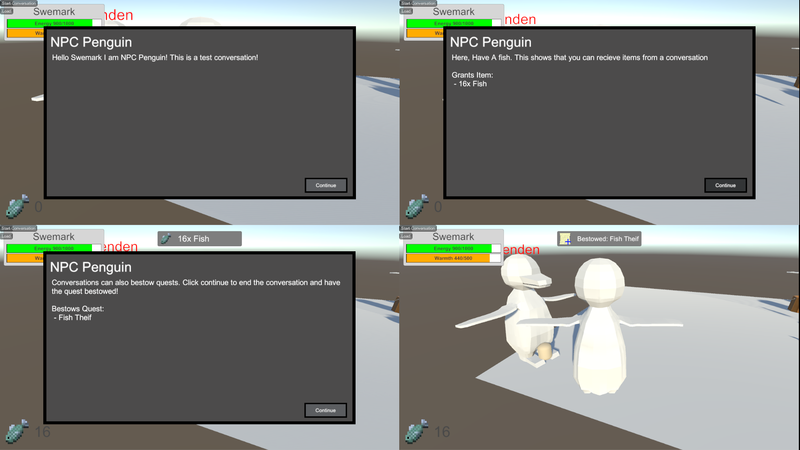 I have added the first 7 quests however have only hooked up the first 4 as there are findable objects (including penguins) that need to be placed as well as adding the bobbing fish indicator, quest reward items and finally dialogue for the penguins you speak to. I have updated the build with the current progress however will only make the quest line "The penguins of Cherringsworth Zoo" available in order to keep secret the future of Swemark and Denden's adventures until voting opens for #RainbowJam17. Today I woke up hungover and full of cold as I went out to enjoy University fresher's the night before. I didn't get as much done as I would have liked but all Quests bar 1 side-quest have been completed. So I'm at the stage where the only new features will be small ones such as adding a Pause menu (with save option) as well as adding an in-game controller mapping screen. I started by fixing a bug that has evaded me since the start of the jam. Since I prefer to play on controller I had neglected to test the keyboard mapping for the game. Pressing "Tab" rather than the controllers "LB" and "RB" didn't switch the players inventory out in the inventory screen. 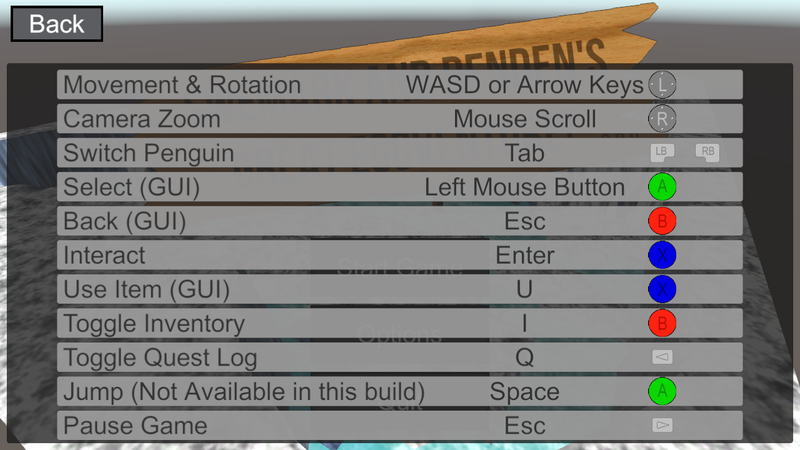 The container transfer screen was unaffected however you wouldn't be able to see Denden's inventory. I also changed how saving of quest object visibility works. previously the script which made the object visible would handle saving however that caused duplicate entries in the save table due to needing multiple copies of this script on an object. I changed it so there is now a simple script, 1 per object which handles saving the visibility and nothing else. The visibility script is then free to change the visibility as it sees fit and the new script will save the state. 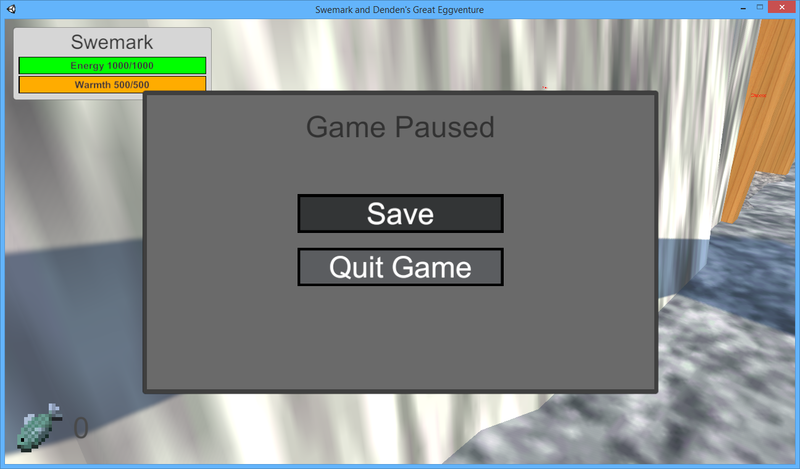 I also created a Pause menu in-game with options to save game and quit game. They both have a popup which is either a confirmation of save or a notification that you should save before quitting. The game doesn't actually pause however as there are no moving items (if and yet) then this isn't an issue. If in the future I have moving items, I'll add a proper pause effect. Today I worked on feeding time. This mechanic spawns fish at set times during the day. 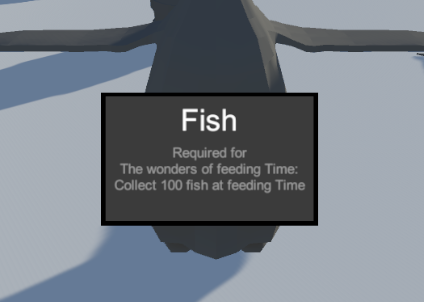 The fish can be collected as items as well as well as (if the player hasn't finished the quest) for "The Wonders of Feeding Time" quest, which is bestowed automatically at the start of the game. This took me almost all day to get right. 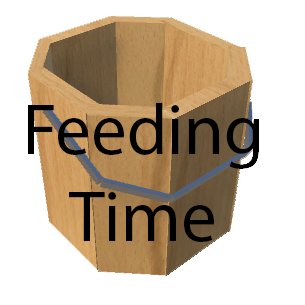 Currently there is only a text graphic to indicate that feeding time has started however I will create a proper graphic tomorrow. 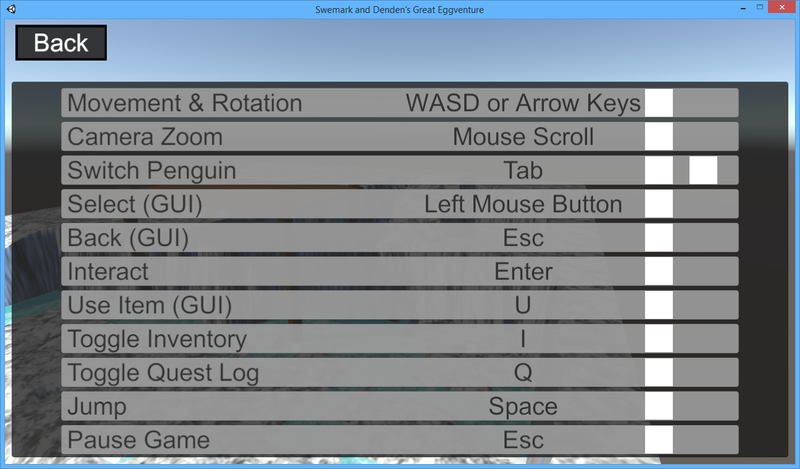 I also added some graphics for the controller buttons to the button mapping screen under the main menu options screen. As well as some other graphics relating to quests.